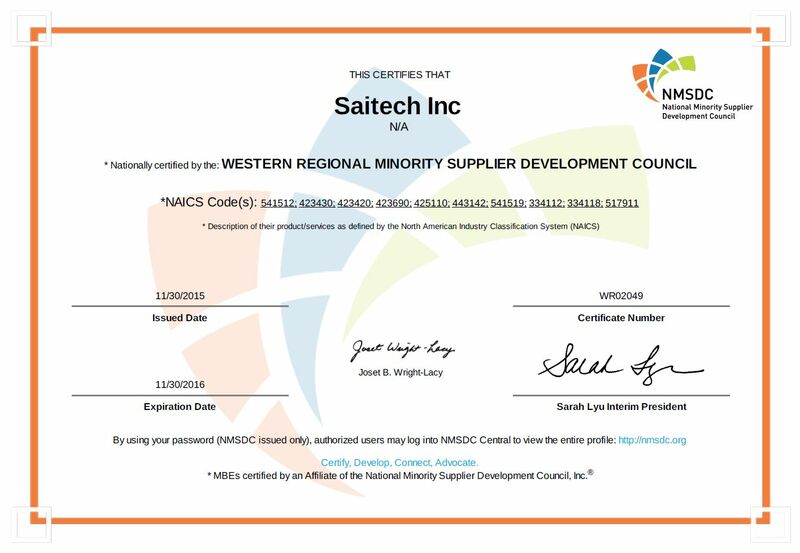 Western Regional Minority Supplier Development Council - Saitech Inc.
WRMSDC was founded on September 9, 1977, almost 10 years after the Civil Rights Movement that sparked national awareness about racial discrimination and segregation in the United States. Galvanized by the unequal treatment of minority-owned businesses, the Council began serving as advocates for impacted minority communities in Northern California, Nevada, and Hawai‘i. Today, WRMSDC is proud to be one of 24 sister councils around the nation committed to furthering the growth and opportunities of minority businesses. 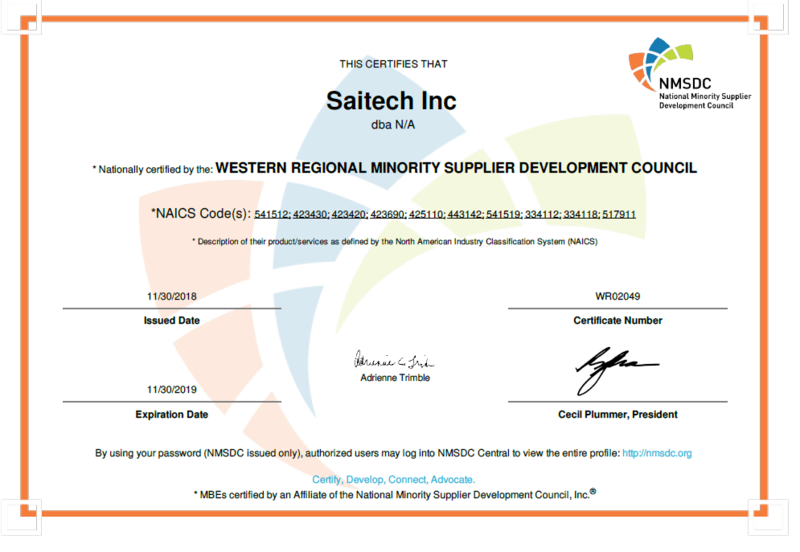 Saitech Inc is proud to be certified as a Minority Business Enterprise (MBE) by WRMSDC. Saitech Inc can assist your corporation, agency or government department in meeting your diversity or set-aside business goals or objectives. Email: sam@esaitech.com to learn more or for any queries.